XOXO Jes - Canadian Entertainment News: Grey's Anatomy Season 9 Spoiler...Who isn't coming back? 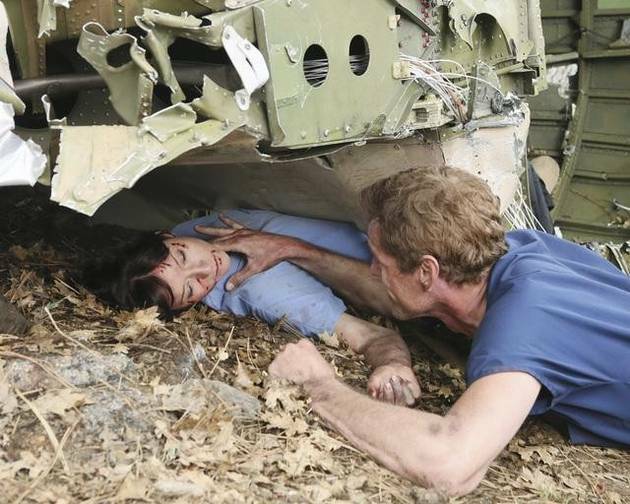 Grey's Anatomy Season 9 Spoiler...Who isn't coming back? I told the world of the hysterical mess that I turned into when Lexi was killed off of Grey's Anatomy...and now it has just been revealed that Eric Dane, who plays McSteamy (Mark), is exiting the show as well. Which means...he is probably going to die when the season comes back from all that internal stuff that happened to him in the plane crash. Now if I were at home right now I would be losing my mind. This would make the Lexi situation seem trivial. Unfortunately I am sitting at my desk at work trying to tie up loose ends before I head out for the day and I mistakenly went on Twitter and saw the news. HOLD IT TOGETHER JES. One must not cry at work, it is unprofessional....especially about a fictional character dying. The peeps here just wouldn't understand. I will have a small pre-funeral when I get home. You know, the usual flowers and eulogy while sitting on my couch holding the remote.